Lazy Point is a “flat peninsula of scrubby pines” (to quote author Carl Safina) between Long Island Sound and Napeague bay in Amagansett, New York. If you bike out there, you’ll pass salt marsh, the scrubby vegetation of this seaside landscape, and an old fish factory, now selling a bit of fish and overpriced prepared food to the odd tourist. It’s marine ecologist, writer and MacCarthur Fellow Carl Safina’s vantage point on the world’s oceans — oceans that are in deep trouble from multiple assaults. In THE VIEW FROM LAZY POINT, Safina alternates between two poles. One is lyrical descriptions of the beauty of place — bringing the mind’s eye into a tender observation of terns, sea ducks, and other shorebirds, as well as bluefish and horseshoe crabs. The other is strong warnings about the impact of climate change and environmental abuse. He also travels to other places on our watery planet to show us some inspiring success stories, as well as failures. 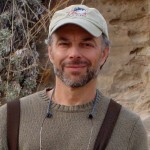 Carl Safina is a founder of the Blue Ocean Institute and the author of more than 100 articles and five books, including the recent, A Sea In Flames (which WV spoke with him about), Song for the Blue Ocean, Eye of the Albatross, and the most recent Voyage of the Turtle. His new TV series, Saving the Ocean, premiered on PBS in April 2011. 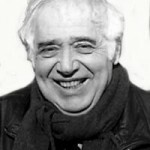 I visited literary critic and octogenarian Harold Bloom in his New Haven home last year to record an interview about his then-latest book, TILL I END MY SONG. It’s a marvelous collection of poems along with Bloom’s commentary. He draws on the work of poets he holds dear, from Shakespeare and Michael Drayton to Hart Crane and Agha Shahid Ali. All are what Bloom calls “last poems,”written in the face of our inevitable mortality.